One of the most tempting things to do when you are financially stuck is to borrow from your retirement fund. However, borrowing from your retirement plan can come with serious consequences, and might be a serious money mistake. You have to factor in the cost of lost opportunity (since that money isn’t working on your behalf anymore) on top of considerations that involve fees and interested associated with borrowing against your retirement fund. However, in some instances, it might make sense to borrow from your retirement account. If you have truly exhausted other options, and your retirement account can pull you back from the brink of financial insolvency, you it might not be the end of the world to borrow from your retirement account. In some cases, if you have a great deal of credit card debt, it might make sense to borrow against your retirement account. This is because you will get a smaller interest rate, and you might be able to repay your obligation quicker with the smaller rate — and save money over paying a high interest rate. True financial emergencies can sometimes be solved by borrowing from your retirement account. However, you need to make sure that you are really going to be solving a problem and getting back on your feet. 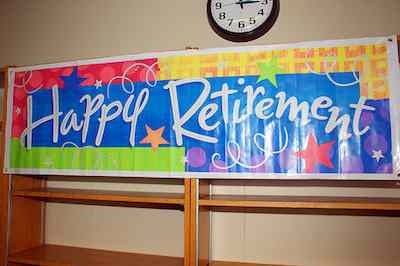 If the retirement account loan only prolongs the inevitable, you’re better off leaving the money in there; in many cases, a large portion of your retirement account is protected in bankruptcy. As you might imagine, borrowing from your retirement account to fund things that aren’t necessities is a really bad idea. It’s also a bad idea to turn to your retirement account first. Just because you plan to “pay interest to yourself” is not a good reason to borrow from your retirement account. The fact that you want to go on vacation, buy a new boat, or get a big screen TV are not good reasons, either. Even borrowing for a wedding, or to pay taxes, may not be the best idea. There are usually payment plans you can use for big expenditures, and the government has payment plans that allow you to make installment payments without the need to dip into your retirement account. You should be trying to max out your retirement account, not withdraw more from it. If you do borrow from your retirement account, you need to make sure that you understand the terms. If you don’t repay your retirement account loan as specified, it turns into a withdrawal — and that comes with penalties and taxes. Those come on top of the loan fees you already paid when you originated the loan against your retirement account. It’s something to consider. Also, if you change jobs, get fired/laid off, or quit while the loan is still outstanding, you might be required to repay the entire remaining balance all at once. That can cause it’s own problems. Before you decide to borrow against your retirement account, organize your finances, weigh all the options, and consider the consequences. You may decide it’s not worth it. I do agree that one can borrow some money to utilize the same for retirement purpose or corpus. But one must ensure that the returns on the investments would be higher than the cost of the debt then only this is helpful else it is worthless effort.